Jesus, I paid particular attention to your remarks about the "fowls of the air" ( Matthew 6.26). Taking you seriously I belong to Norfolk Wildlife Trust and the RSPB both organisations encourage proper stewardship of the created order as set out in Genesis 1.28. But reflecting on the Jay I find that they do store up food - see http://www.rspb.org.uk/birds-and-wildlife/bird-and-wildlife-guides/ask-an-expert/previous/acorns.aspx. So although I agree, they do not sow or reap, they do gather. What's more they are forgetful and some of the acorns they stash away for the winter are in effect sown. That is one way that oaks are naturally propagated. Trevaunace Cove is my number one surfing beach. For at least one week in the year this is where you'll find me hanging with the other surf dudes. Mine is not a shiny fibre-glass board, I am strictly retro and still use an old, wooden belly-board that I have had since the 60s. As a nod to modern developments I now wear a wet-suit! I have a favourite walk part of the South West Coastal Path, on the north Cornish coast from. Trevaunce Cove, St. Agnes to Perranporth . Much has changed since I first walked the path over 60 years ago. I have changed, but the ever changing sea and the rocky coast seem untouched by time. Toiling up steep hills and making my way down over rocky paths, I make slow progress through a heritage landscape that still bears the scars of a tin mining past. As I stop to look back - at the cove and my life - different vistas open and I see things in a different lights and from different perspectives. "Oh I do like to be beside the seaside.. (1) ...."
Walks by the waterside are a particular joy for me. They have become an essential spiritual exercise. What is that all about? Today is the Feast of St. Dominic and I wondered if you celebrate it as your name day. I woke up this morning thanking God for both you and the saint. Who would you be, without your formation as a Dominican? I am a bear of small brain and it feelsas if I am almost untouched by scholarship. What a joy, that within the Body of Christ, I have brother who not only has scholarship and a wonderfully analytical mind but ears to hear and and a lucid, easy to follow writing style. 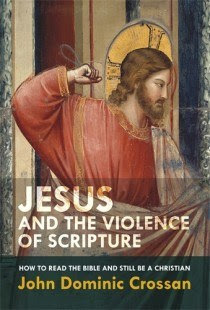 In Jesus and the Violence of Scripture you have set out clearly, argued convincingly and further than I have ever attempted, what I mean by saying,"I am a Christ-ian and I understand what that means by being a follower of Jesus." Thanks for that! It came as no surprise to pass "Death and Glory" as we made our way back up the Bure from a short cruise on Cygnet. 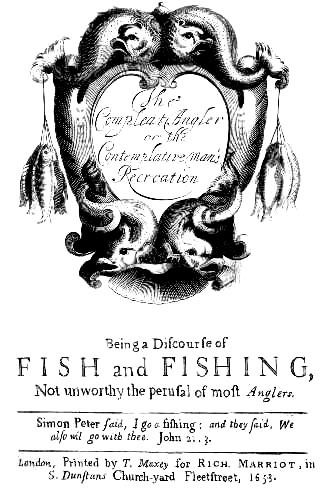 I had been having an internal dialogue with the Coot Club ever since we came through Horning. Back in the golden day, when I was a lad, before the old the Ferry Inn had burned down and the wherry Albion was still trading, there was nowhere near the river traffic there is today. It seems to my inner dyspeptic, grumpy old git that nothing will ever be the same. "Take a grip!" The positive. open, hopeful self replies. "Its change. All things change and yet nothing changes." The Coot club reminded me that although the Hullabaloos have taken over the pub, they tend to congregate in certain places and the Broads are still a magic breathing space. More than ever guardians of the Broads are called fight to protect, nurture and celebrate this unique environment. Back in the golden day, when I was a lad, before the old Ferry Inn had burned down and the wherry Albion was still trading, there was nowhere near the river traffic there is today. It seems to my inner dyspeptic, grumpy old git that nothing will ever be the same. "Take a grip!" The positive. open, hopeful self replies. "Its change. All things change and yet nothing changes." The Coot club reminded me that although the Hullabaloos have taken over the pub, they tend to congregate in certain places and the Broads are still a magic breathing space. More than ever guardians of the Broads are called fight to protect, nurture and celebrate this unique environment. Sometimes I'm so focused on the task in hand, I forget to sit up and take my bearings. I am chuffed to see the remit of, the soon to be appointed, Archdeacon of Norwich, will include tourism. I am delighted that the Diocese of Norwich will be launching an Open Churches map (free for third party users to re-frame and embed in their own web sites) in the summer, and thatPremier Inns, King's Lynn recognise the warm welcome provided by St. Margaret's for hundreds of years. Lets hope that those who are responsible for our heritage churches, step up to the plate and find effective ways of communicating our ancient Faith to new visitors. Thi outdoor spirituality thing I do, its gruelling! Left home in Coltishall at 9 for a 10 a.m. meeting in Burgh next Aylsham. Time for prayer time. for reflection. As I peddled my bike to the Bure Valley Railway path there was an opportunity to consider the flowers, on roadside verges and along the railway track. Each flower a bead on the rosary: campion, borrage, cumfrey, white nettle, forget-me-not, Queen Anne's lace, bluebells, herb Robert, and the last of the primroses. On the 400 th anniversary of Shakespear's death, the primrose path that leads to the everlasting bonfire ? Each hamlet or village I pass are chapters of a rosary. Anchor Street, St. James's Coltishall Great and Little Hautbois, Buxton, Brampton Burgh. in the sense, that I give thanks for it! its off to the Fur and Feather at Woodbastwick for more talks, with different people. "If you meet George Herbert on the Road, kill him": Here follows a reaction to Justin Lewis-Anthony's excellent book. This is, “The contemplative man’s recreation.” Well said Izaak! What do you think George? Across the marsh, beyond the station, was my terminus. The Berney Arms mill, sadly the pub remains closed. The lyrics of Slim Dusty Pub with no Beer come to mind - nothing so lonesome morbid or drear. More seriously, I wondered what I could possibly do to raise the profile of the church in the landscape with those who hold stewardship for the National Park.